I used to think of an idea and daydream about it for a few hours or several days before writing. I write from passion and inspiration. However, writing like this can leave burn you out or sidetrack you along the way if you’re not careful. Since I started writing novels full-time, I’ve had to adjust my approach to writing to a more “regimented” path. If you’re a writer, then you’ve heard the terms “pantser” and “outliner.” These refer to two kinds of writers. One writes like I was; from passion, inspiration, and from their “pants,” which just means going with the flow and letting the story come to you as you write it. The outliners plan the full story ahead of time before they start writing. Depending on how extensive you get, these outlines could be long. I’ve had to take on both worlds for my career. If I continued to write without outlines, I’d get overwhelmed because of the deadlines. So, now I create brief chapter outlines before I write. This is just my way of telling myself in a few sentences to a few paragraphs what the chapter (scene) will be about, what happens, who’s involved, any quotes or dialogue I want, etc. This allows me to transition from chapter to chapter (or scene to scene; I write each chapter as a new scene) without spending too much time thinking of what comes next. Since my deadlines are tight and I must write at least 10,000 words each day to stay on track, I need to maximize every second during the day. By creating short outlines like this for each chapter, I’m able to continue to write how I enjoy writing and let the story flow naturally, but it also allows me to see what’s next and saves me the hassle of thinking about it. This really comes in handy when you’re reaching your threshold and feeling tired. I’m not sure what inspires me to write. Ever since I was young, as far back as I can remember, I’ve always enjoyed reading and writing. I guess you can say it’s a natural gift I was born with. Over the years I’ve learned how to strengthen that craft and continue to do so each day. We can only keep getting better with each new story we write. I think the main idea that keeps me writing and why I enjoy it is the challenge. Most people never start, finish, or write a book. It’s hard work to write a book and even harder to write something that people like and will buy. I consider a good book something you can live off of the proceeds you receive. Until you can live off of the money you earn from your stories, it’s a hobby. That’s how I transitioned to taking my writing seriously and pushing myself. Before, I wrote when I was inspired and for fun. I would go long periods of no writing and other stretches where I’d write an entire book in a week or so. I was not disciplined or focused. And I certainly didn’t have a plan. In March 2017 I made a goal for myself. The goal was to get good enough and dedicated enough to be able to quit my job and write novels full-time by the end of the year (10 months). I thought this was reasonable, but thought I’d also do it in six months. I’ve always achieved my goals faster than the normal person, but that’s because I’m a bit OCD, and when I focus, I’m ALL IN. I reached my goal four months later and quit my job. I was able to quit two months earlier, but I waited to make sure it would work out before quitting. Other than the challenge, I love stories. And I love sharing my stories with people. Selling copies, making a living, and reaching #1 Amazon bestseller status for multiple books is a HUGE plus, but it only aids to the fuel of my passion and helps keep me going. Writing is one thing I love. Find what you love and where your deepest passion lies and do that. If you work at it and truly commit yourself to mastering it, you’ll be able to do it as your full-time career. My two greatest passions are writing and golf. When I was in the military as an Arabic linguist and intelligence analyst, I taught myself how to play golf and become a scratch golfer (someone who consistently shoots par or better) and got a scholarship in less than two and a half years. The goal was to get good enough before my enlistment was up to go back to college for a second degree and play golf on scholarship, then go pro. I was well on my way before I made some poor life choices. So, my dream would be to play golf professionally. I’d like to do that for the challenge and prestige, but the truth is, if I could just travel and play golf. Writing would go along with that. Traveling, playing golf in competitions, and writing books along the way. That’s the dream, and I’m fortunate to be doing one of them as my full-time career. Prepare to work harder than you’ve ever worked before. If you want to make something of yourself as a writer, then you must develop a thick skin and a fighting spirit. Meaning, you must develop a mindset and belief system that “writing” is the air you breath and your “life.” You must also eradicate any sense of self-esteem, identity, and any tendency to be offended. You cannot allow yourself to be bothered by what others think, say, or do. Most people will attack your dream, criticize you, ridicule or diminish you, etc. if you’re chasing your dream. The reason? Because the majority of people in this world will NEVER go after their dreams because of fear. So if anyone “attacks” you or your dream, they aren’t attacking you, they’re projecting their own insecurities, regrets, and longings onto you, instead of doing something about it. It’s easier to criticize, point the finger, blame, or name call. It’s much harder to buckle up and go after your dream. Dreams are hard work and sometimes it takes a long time before you reach it. The best thing you can do is wipe out your dependency on affirmation from others, including yourself, and then learn as much as you can. The truth is that it was your best work and it was good back then, but you and your work are better today. If you’re not better in the future than you were in the past, you’re doing something wrong. Quality must always improve. It does not diminish your skill or your past stories if your writing wasn’t as good, that doesn’t matter. All that matters is that you keep writing and keep getting better. This goes for any dream you chase. If you want to write for a living, you must be stronger than anyone else and become the most learned person in your craft. If you maintain a teachable spirit and a mindset to never quit improving, you’ll reach your goals faster than you thought possible. And all of the naysayers will continue to live miserable lives of complaints, what ifs, and regret. Don’t be one of them! Well, my faith is important to me. I wasn’t always faithful to God, but He was always faithful to me. Because of where my life was and where I am now, my faith is stronger. I have overcome some huge obstacles in my life and experienced so many “coincidences” or “divine intervention moments” to ever believe it was not God. The things that have happened could not have happened by me or anyone else. There’s just no way. It’s not humanly possible. But God is in the business of making the impossible possible, when you place your trust and faith in Him. So, since I’ve learned these life lessons and seen through my own experience and life how faithful God is and that I can trust Him, I would want the Bible on my shelf. Without God, there is no point to life. I had to learn this the hard way, but I’m grateful that I can now use my past to help others avoid it or overcome their own struggles. How I eliminated over $84,000 of debt in less than a year with these nine simple, life-changing steps, and how you can too. 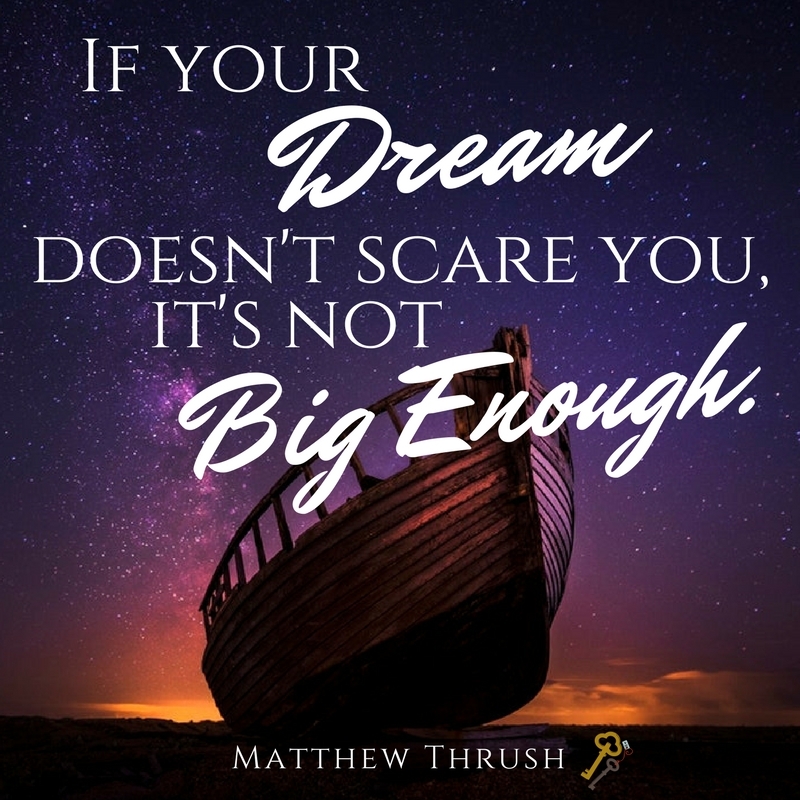 In March 2015 Matthew Thrush had over $84,000 in debt, no job, $100 in his bank account, and no hope for the future. Disqualified for unemployment by the government and overqualified for all of the jobs he interviewed for, Matthew was at rock bottom. He suffered from chronic depression, anxiety, and pain on a daily basis. Migraines and disorientating vertigo were his closest friends as he trekked through life with his head held low, shoulders slumped, and a heavy bag of debt weighing him down. Life was meaningless and miserable for a long time. He blamed God for his problems and secluded himself to his apartment. He stopped seeing friends and family. The things he loved grew bland. The passion and creative outbursts he once had were all but dust and shadow. There was no light at the end of the tunnel. In My Blessed Life: 9 Steps to Financial Freedom and Abundance, Matthew shares some of his testimony with real-life struggles and examples of how he eliminated over $84,000 of debt in less than a year. His simple, yet profound, nine steps will empower you to do the same. With a new mindset, a clear goal ahead, and the road map to reach it, you’re well on your way to a debt free life and financial freedom, if you follow the principles he shares. The following year Matthew went from dead broke to no debt, a six-month emergency savings fund fully stocked, maxed Roth IRA, paid for a wedding, honeymoon, engagement & wedding rings, increased his 401(k) contributions to 15%, paid down nearly $108,000 of his home mortgage, and quit his day job to write novels full-time in less than four months. Matthew isn’t super human. He’s an average guy just like you. If he can do it, so can you—if you have the right guide to lead you and a heart of stone to make the necessary sacrifices to grasp it. Matthew’s newfound passion is helping others attain their goals and to eradicate the barriers and strongholds imprisoning them. Whether it’s debt, a sense of helplessness, depression, or no sense of purpose, Matthew wants to empower people with their true purpose and hope. Debt is painful. It will beat you until you can’t go on. But life doesn’t have to be that way. If you follow Matthew’s strategies, you’ll learn the principles that took him from the darkness of depression and hopelessness to a life of blessing and financial freedom. A blessed life is more than financial wealth; it’s abundance in every aspect of life. Matthew is the #1 Amazon bestselling author of over 23 novels; both personal and ghostwritten. He spends most of his time helping others share their stories, testimonies, and experience through ghostwriting. He hopes to use his testimony to change lives. If his words help just one person eliminate their debt and start living a blessed life, he’s succeeded in his vision. If you’re in debt and there looks like no way out, this book is for you. Don’t wait another second. It’s time you got your life back. Claim your Financial Freedom now! I recently opened up co-author submissions for writers seeking to learn how to make a living off of their writing. I’m honored to say I’ve selected a few and I can’t wait to share the stories we come up with in the months to come. There will be A LOT to read. Plus, I’ll be writing several more of my books and pursuing my new 2018 goal of sharing my knowledge and experience with people. I will write several more nonfiction books within the My Blessed Life series, as well as create online courses to teach people how to eliminate debt, live an abundant life, become a full-time author, have an unstoppable marriage, and much more. This is going to be a great year and I can’t wait to share it with everyone.